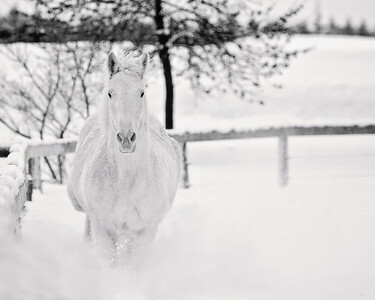 White horse running through a field of snow. 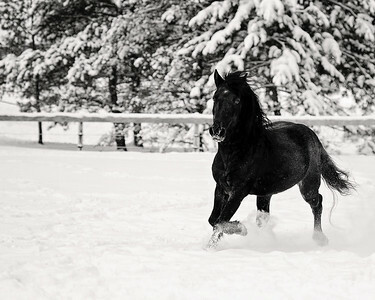 Black Newfoundland Pony frolicking in fresh snow. 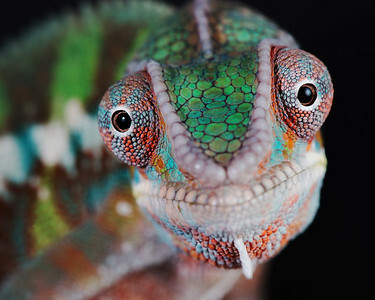 A curious young panther chameleon looking right at the camera. 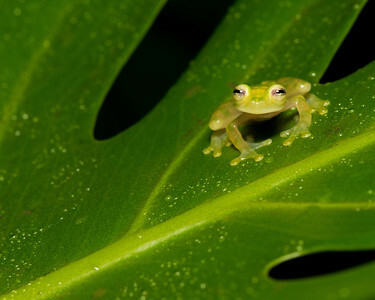 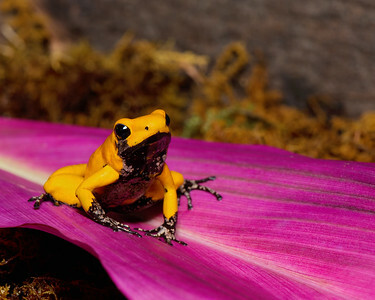 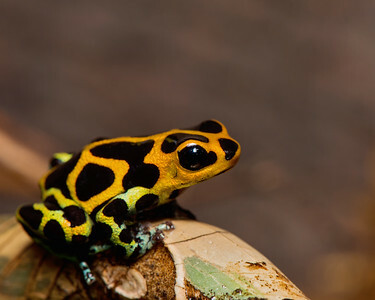 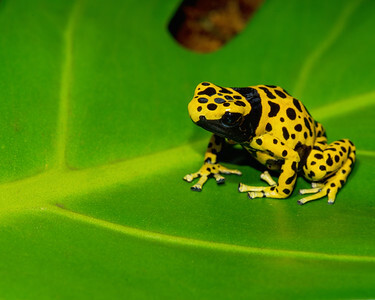 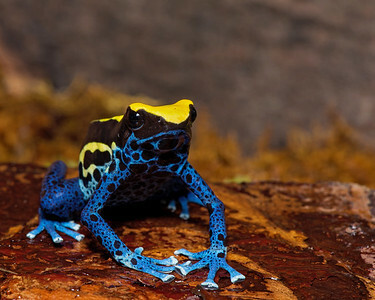 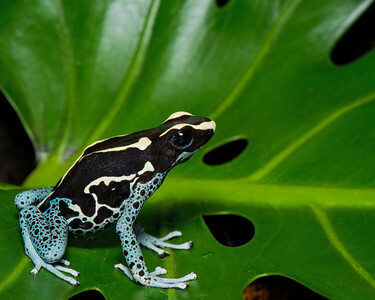 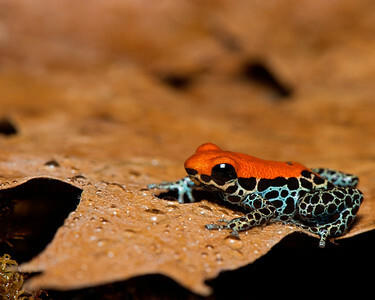 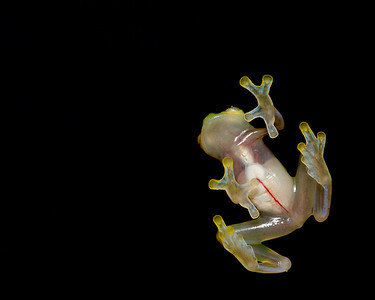 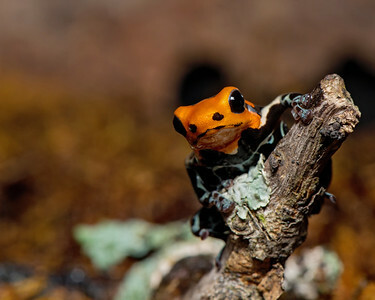 Dendrobates leucomelas, also known as the Bumblebee dart frog.